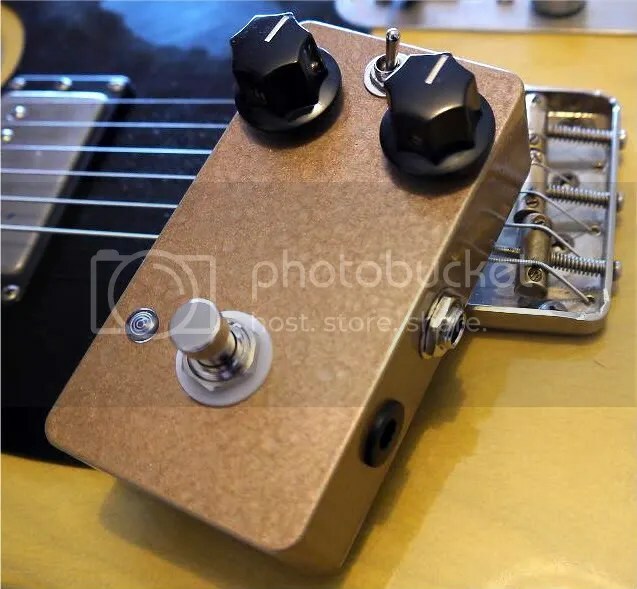 This is my ‘Gravy Boat’ fuzz that I built up using my own PCB design, with one of my 3PDT PCB’s as well. The PCB has board mounted pots, and one of my 3PDT PCB’s, which made for some neat looking guts. 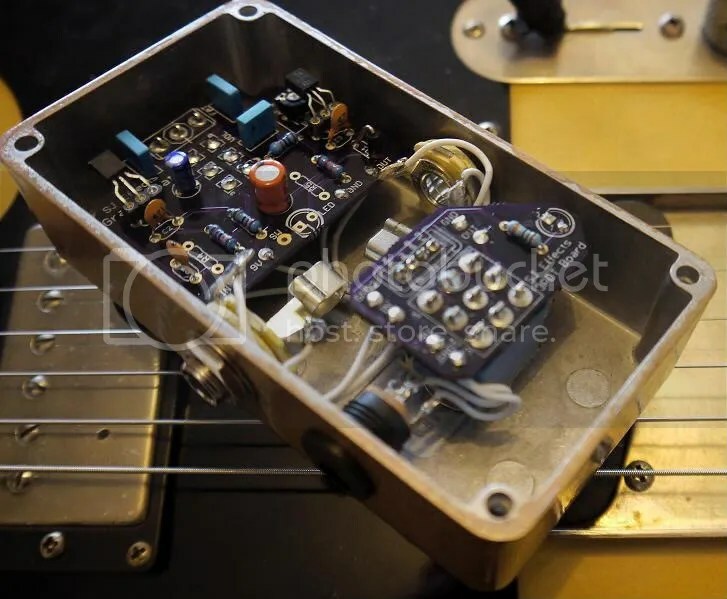 The circuit is similar to a Fuzz Face but with higher gain and a few other tweaks. There is also a trimmer control mounted on the PCB to get the circuit working at its optimum bias voltage. The input cap is switchable with the toggle switch to get a bit more variance in tone. The Gravy Boat currently has a couple of 2N3904 transistors in there, but I might see if I have anything more ‘mojo’ knocking about that I can stick in. It sounds great as it is though so I may stick with the 2N3904’s.